The dream of reducing lameness, whilst using less labour, is a hoofcount reality! Bespoke stainless steel construction with non slip rubber flooring. Counts the Cows through and replenishes the solution automatically or can be overridden by manual switches. Rapid empty, clean and refill to aid cow flow. The Automatic Footbath You Can Count On. 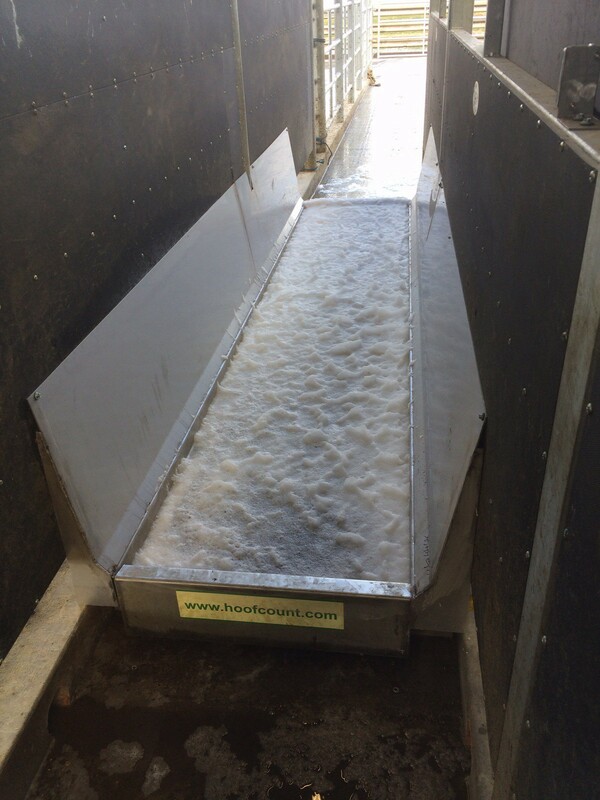 The Hoofcount automated footbath empties, cleans and refills the footbath after a preset number of cows have passed through. With a full width opening to drain the waste, this automated footbath ensures a clean and effective solution for your cows to walk through. With a choice of chemical automatically added at the correct dilution rate, you can rely on an effective foot bath for every cow.